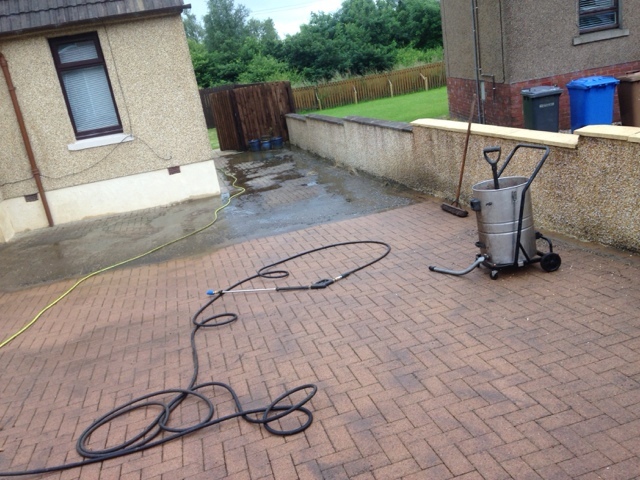 On a job at the moment in Blackridge west lothian. What's this weather about? It's early august and I need full protective kit to keep warm? Driveway coming up nicely and I'm sucking up debris as I go. 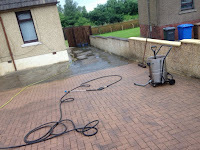 Drainage is always a major point when driveway cleaning. Look at the wall tops before and after.